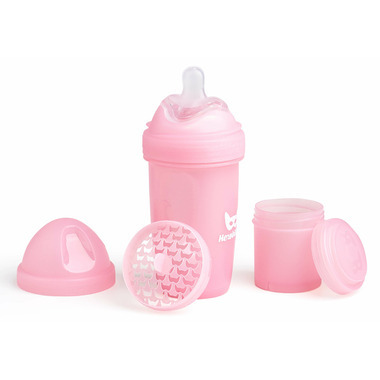 HeroBottle sets a new standard for baby bottles, with new patent pending solutions combined with beautiful, functional Swedish design. Traditional Anti Colic Systems are all based on the same principle, developed by Joseph W Less in 1946. It’s based on a ventilation hole preventing a vacuum, creating an even flow and preventing the baby from swallowing air. 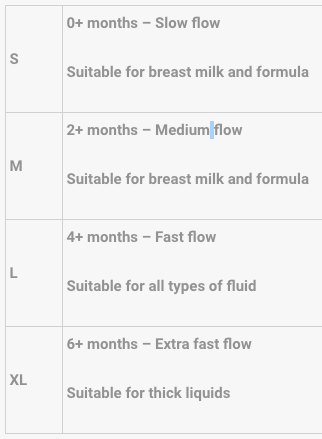 After 70 years, the next generation of teats is here, patent pending and developed by Herobility! HeroTeat’s oval breast-like shape fits your baby’s mouth perfectly, gives a natural latch and makes the transition between nursing and bottle feeding easier. HeroTeat (M size included) is available in four flow sizes to accommodate the needs of your growing child. For size recommendations, see the table at the bottom of this page. Mixer lid and net for lump free mixing included. HeroStorage makes it easier to bring formula, food, or snacks on-the-go (included).